I love love love this type of book. The whole journal entry, police transcripts, and camera details really put a creepy spin on an already creeptastic book. 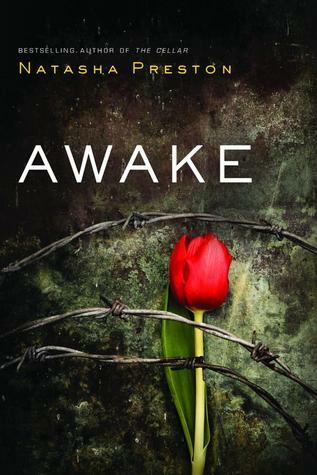 Dawn Kurtagich does an amazing job bringing the reader into the mind of a troubled teen and by the end I wasn't even sure what was real and what wasn't. Carly and Kaitlyn share the same body. Carly comes out during the day and Kaitlyn comes out at night. After reading we quickly find out that Carly is under the care of a psychiatric hospital to help with DID..dissociative identity disorder. We learn that Carly underwent a terrible trauma and in the process of trying to cope she created Kaitlyn. Except Kaitlyn has always been a part of Carly even before the accident so what does this mean? This means a crazy creeptastic story that will leave you thinking and shuddering for days. Like said I loved this story. It was creepy and dark and well that is exactly what I want these days. The romance was there but not front and center. 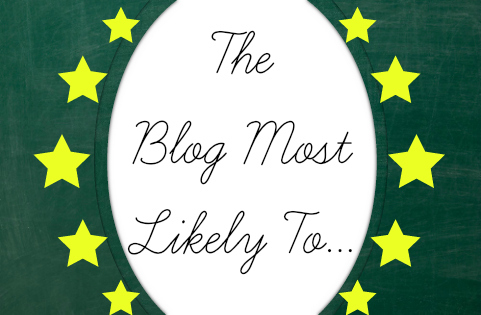 The author let Carly and Kaitlyn take center stage and I was captivated by them. The way the story is laid out you really don't know if Carly has DID or if she really does have the soul of Kaitlyn living in her. Her friends step in and try and help, but even they didn't know who to believe. What I really liked was the way the information was given. It was slow but in a way that when it dropped every time I was like OMG! 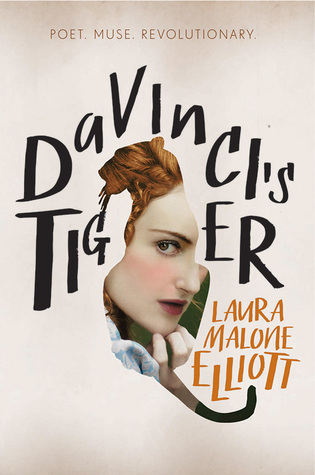 So many huge things happened throughout and the author was brilliant in her delivery. The only part I wasn't a fan of was the mythology spin. I don't think the story needed it to be honest. It was strong enough as a psychological thriller and I would have preferred it to stay that way. The author did a great job weaving in the mythology so that made it better, but I just wish it would have been left out. I would love to see a separate book with this type of mythology because it is really interesting and dark as well. For the creepy fans this is a must read. It has everything you could ask for and more!! The Garretts are everything the Reeds are not. Loud, messy, affectionate. And every day from her rooftop perch, Samantha Reed wishes she was one of them . . . until one summer evening, Jase Garrett climbs up next to her and changes everything. As the two fall fiercely for each other, stumbling through the awkwardness and awesomeness of first love, Jase's family embraces Samantha - even as she keeps him a secret from her own. 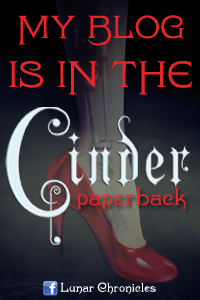 Then something unthinkable happens, and the bottom drops out of Samantha's world. She's suddenly faced with an impossible decision. Which perfect family will save her? Or is it time she saved herself? 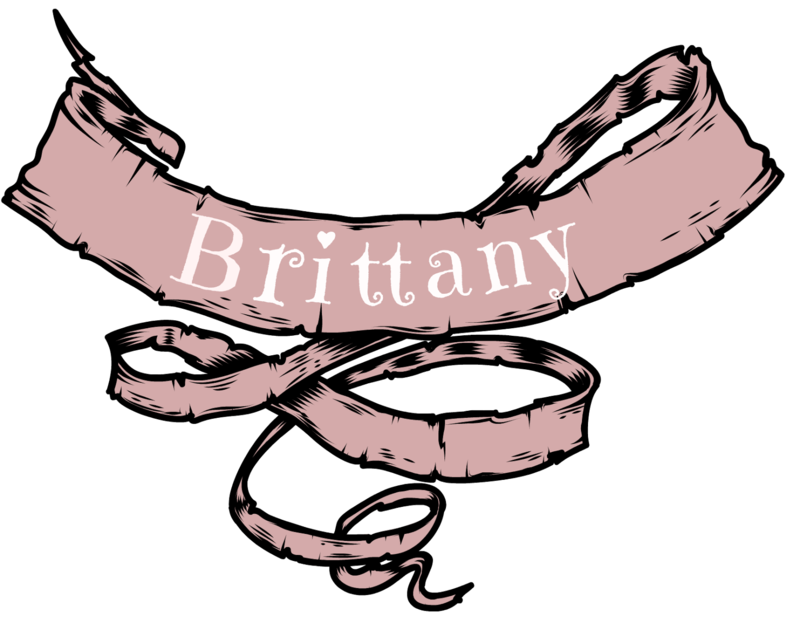 A transporting debut about family, friendship, first romance, and how to be true to one person you love without betraying another. Sam Reed lives in a perfect bubble. Her mother is State Senator which has always lead a privileged life, even without knowing it. Perhaps that is why she is so fascinated with the hectic, messy, loud, crowded family of Garrett's. She has been watching them her whole life from a far. Suddenly, she is swept up into their madness in the best way possible. Jase and Sam are perfect for each other and she adores her family but while their loves grows stronger her family life becomes more volatile as a secret threatens to bring down the house...literally. This book was adorable!! I have been hearing great things for years and I was so happy to be agreement with all the hubbub. I have a really hard time with YA contemporary since I grew up a bit different then many of the M.C.'s. Let's just say I was more of a cross between Tim & Alice instead of Jace & Sam. I have since grown up but still have a hard time relating yet this one fascinated me. Mrs. Fitzpatrick really captured the details of a first love perfectly, even the awkward slightly uncomfortable minutes. There was something so enthralling about that first love feel between those two. They were just cute as buttons without inciting any eye rolling. The dialogue was incredibly strong as well. In fact, if I was to have any complaints at all (not that I do), but I would say that things at times were a bit too wordy which slowed the pace. This was easily overlooked though. The supporting cast was incredibly strong in their own right. Each character was incredibly detailed and yet they all somehow complemented each other perfectly. Let me just say that I squealed with delight to find the companion/sequels main focus is the ever feisty Alice and reformed screw up (who more than completely redeemed himself) Tim. I CAN'T WAIT!! I will absolutely be looking for any more Huntley books I can. I am about to read What I Thought Was True as well!! These are seriously some perfect summer swoons. Broken. Scattered. But not defeated.The spy is gone but the cost has been high - the rebels at Cimmeria Academy have lost their leader and Carter West is missing. Nathaniel can taste victory. But Allie and the other survivors aren't done yet. First they have to get Carter back. 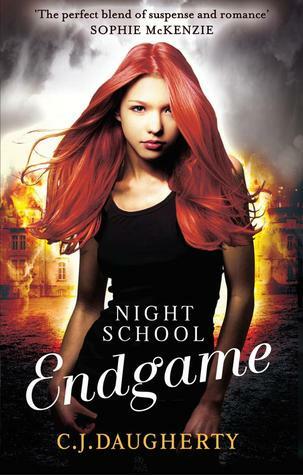 Then they plan to make Nathaniel pay.One way or another - the game must end.Endgame is the thrilling fifth and final book in the internationally bestselling Night School series. It's over and I'm so sad. 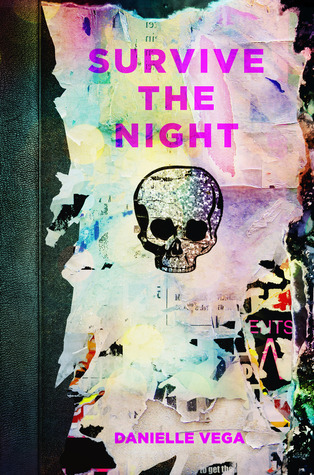 The Night School books have been one of my favorite escapes providing remarkable mystery, incredible writing, amazing characters and pure solid entertainment. C.J. 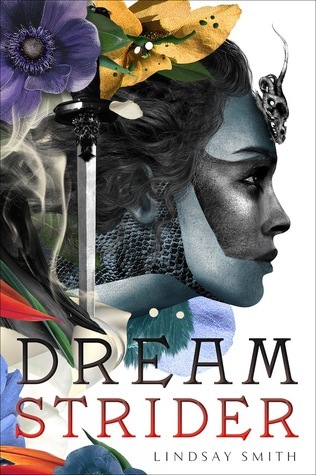 Daugherty took over my imagination book after book and it makes me sad to think that there wont be a new book to look forward to next year, but if this series has to end, I couldn't ask for anything better! Endgame starts off seconds after Resistance ends. The beginning of the book is straight out of an action movie. It got my heart pumping from minute one and this was one ride I didn't want to stop. Allie is still recovering from the tailspin disaster at Hampstead Heath, mourning the lost of Lucinda and worried sick over Carter's capture, but she's more determined then ever as she and the rest of the Night school students and teachers fight to once and for all put a stop to this war Nathanial has started. This book felt very different amongst the rest. More dire, more intense and way more suspenseful. We're in total mission-mode here and I loved how realistic Daugherty made it feel. When the action hit it was in your face fast and exciting but then there were the longer slow periods of waiting and planning time that was both calculating and maddening. I also loved how involved the guards were in this book. It gave it that extra push, specially when Number Nine is introduced. But above all, I loved the energy that crackled throughout this last hurray. 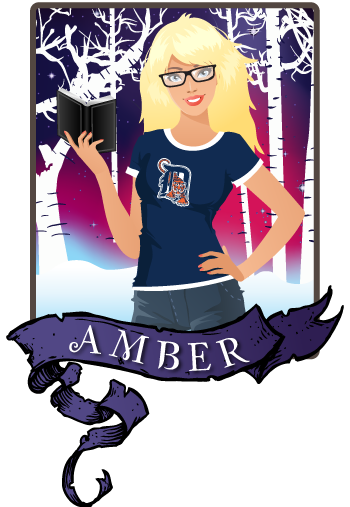 From the first book fans craved to see what Night School was all about but this book shows us just how it all goes down. And I loved every minute! Allie, Carter, Sylvain, Zoe, Rachel and Nicole. I'm truly going to miss all of these remarkable characters. Allie has grown so strong throughout the entire series and I was so proud of the way she took control of her own fate but still wise enough to let others help her. I'm also glad we had the chance to see what becomes of Christopher, Gabe and of course Nathaniel and the future of the organizations. As for Carter and Sylvain, well, I don't want to spoil anything but I believe this was the ending that was always meant to be. I do wish we had a little more romance, but I can't really complain given the very complicated and fast paced plot, any more romance then what we got, would have felt forced. Bottom line, I absolutely loved this book and this series. It has been one of my most treasured and solid escapes that was such a complete joy to experience. I'll miss this world, but even though I know it's done, I still think there might be room for a spin-off, so, fingers crossed. Congrats to Daugherty for such a brilliant series and I'm looking forward to your next adventure! 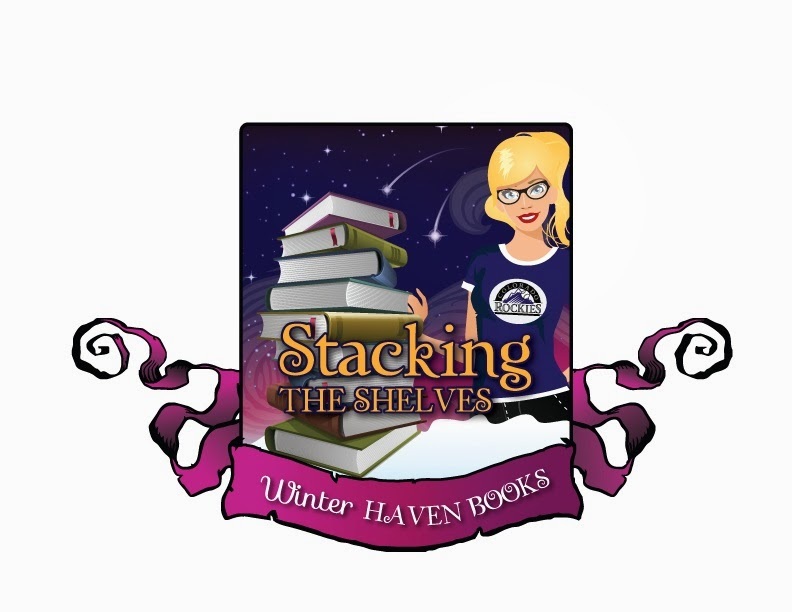 Today on WinterHaven Books we have the amazing T.A. Maclagan with us! 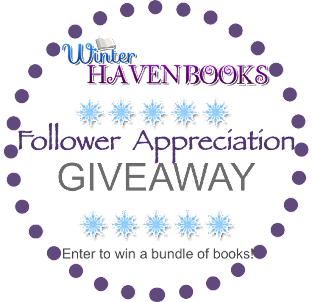 She is stopping by to answer a few of my questions about her latest book and there is also a really fun contest and giveaway that you won't want to miss! 1. How much research did you do before writing your novel? 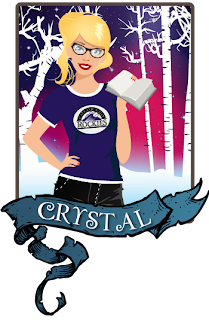 I’ve always been a huge fan of spy books, both fiction and nonfiction, so in a way, I’ve been researching for the book most of my teen and adult life! 2. I would have loved to have known more about Milena's family, will we get to see more of them in the next book? Yes! The next book is very much a family affair! The reader will be introduced to Milena’s enigmatic father, who is definitely not going to be winning father of the year. 3. Can you tell us anything about Milena's mom? I'm extremely curious about her connection to Perun. 4. Whose character was the hardest to write? Lex was probably the hardest to write. As a spy for the “other side” it took some trial and error to make her both likable and believable as a character. In some of my earlier versions she came across as too distant from Grant and Albert. 5. Are you Team Grant or Team Varos? I have to say I am torn!! 6. What can you tell us about the sequel? The plan is for a duology, so readers will only have to wait for one more book before all their questions about Lex and Perun are answered. The sequel, if all goes according to plan, should be out next year. Expect lots of twists and turns and some very big reveals! Lex and the reader are in for a ride. I am so excited for the sequel! Especially after reading these answers! I just want to know more and it looks like I will get my wish yay! T.A. thanks so much for stopping by, it's been amazing working with you! I have to say I am really loving the whole spy/impersonating story lines that are coming out these days. 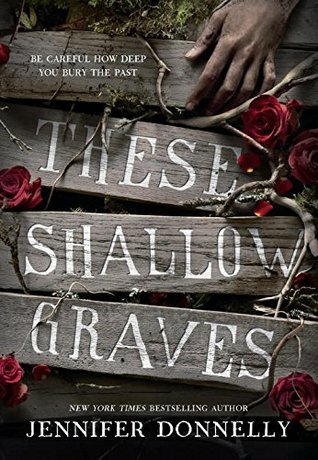 This is my second book that has incorporated this into its plot and while I did have a few problems, I still really enjoyed it. 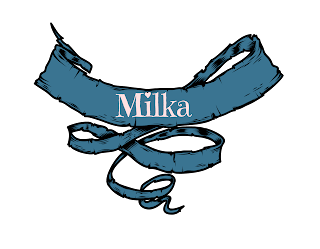 Milena after watching her mom die is enrolled at Perun. Perun is a school for spies sort of speak and there Milena trains to infiltrate the CIA and report back to her home country, Olissa. Her first mission is to impersonate Alexandra Gastone and to do this she undergoes plastic surgery and watches countless videos so that she can emulate her. 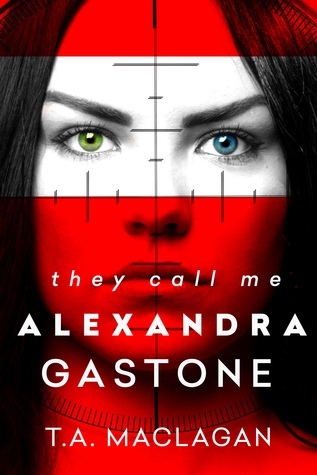 Nobody can know, she must become Alexandra for her country and to avenge her mother. I really liked the political intrigue that was woven into this story. I sometimes get lost inside the story and get really confused, but the author did a really great job at explaining things. She didn't dumb it down for the reader, she took the time to set up her government and I appreciated the extra time and care. I am not sure if I buy where the story eventually went though. I was right with the author up until the last few pages. I would have liked a little bit more explanation and I think what would have really helped was more back story. I don't know the why's of Olissa's hatred for the US other than the surface problems and even those were kind of debunked along the way. I know this is the first book in the series so I am just going to assume the next book will answer my questions. I'm intrigued so the author did something right that's for sure and I'll definitely pick up the next installment, because I want those answers! Milena was an interesting character. I really rooted for her and I did like her, but I did expect more of a bad arse. After reading all about her training I felt like she didn't quite deliver on her supposed amazing skills. I'm wondering if the author chose to go this route because she was young and out of practice?? Whatever the reason I wish she had been a bit more aggressive and able to defend herself. That being said though I did feel for her and I can't imagine what she went through especially at the end after a huge bomb is dropped. 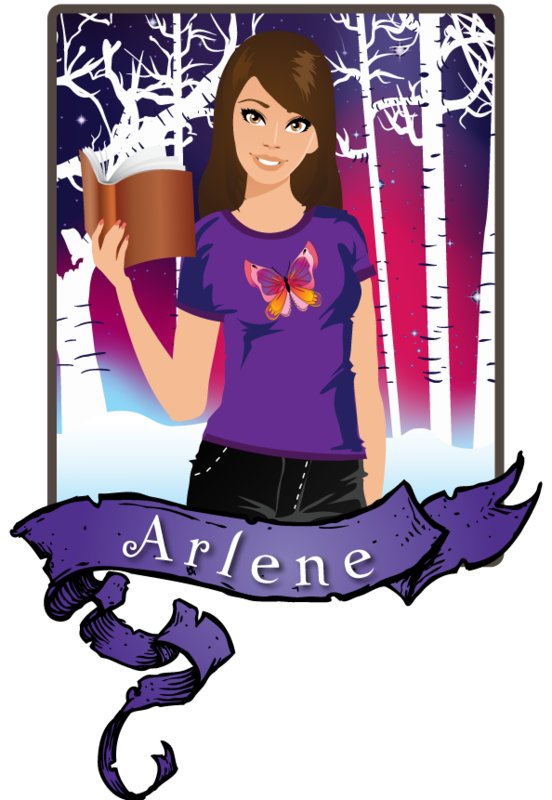 I think she will come into her own in the next book and I have a feeling I will like her even more. Okay my complaints...1. 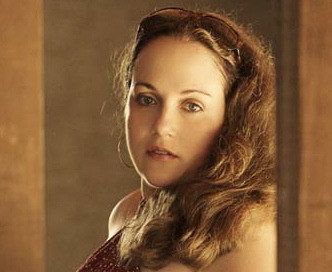 I would have liked to have known more about Milena's mom and why she was murdered. This was never explained and I needed that explanation. This would have solved so much for me and honestly the whole book it was in the back of my mind. I don't think I missed the explanation because I was hunting for it. I wanted that and I wanted to know how Milena's family was involved with Perun. These topics were kind of skirted around and well it bugged me. 2. the romance. If you have read my reviews lately you know I am not a fan of romance at the moment. That being said I can always overlook one if it is done right and I just don't think this one was. I honestly though appreciate the author giving Grant and Milena flaws early on so that the inevitable love triangle won't be so bad. I know one is coming and I just don't know how I feel about the other guy. There is an age thing to deal with and we don't really get to see much of him, so I just don't know. I can see why the romance was needed, but I wish the author would have focused more on back story and let the romance fall by the waste side. Those are my only complaints and while they sound like big ones they really aren't. 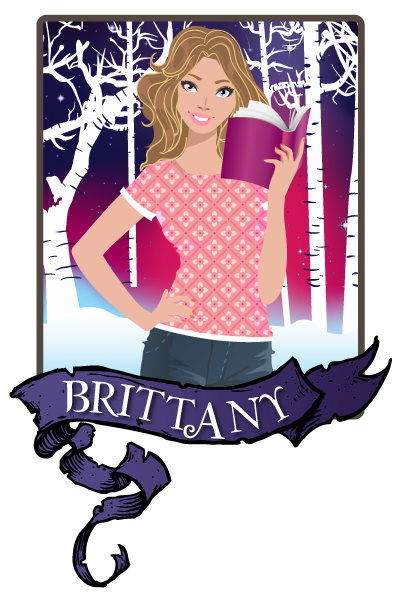 I can get past them because the author did create a fun novel that kept me interested and pining for more. I have lots of questions and I think the author will definitely deliver with the next installment. T.A. 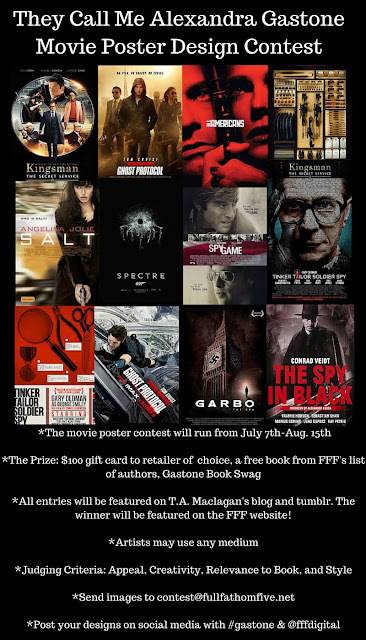 is giving away a $15 Amazon gift card to one lucky reader! Fill out the form below to enter! I also have a fun contest to share! Here's all the details! It's true, I wasn't the biggest fan of the first book, Talon. I thought it was a promising start but my overall expectations regarding world building, specially for one of Kagawa's books was a bit of a let down. However, this second instalment, Rogue, was much better. More action, more answers and a lot more romantic entanglements that I found quite entertaining. I can see the bigger picture now, see how things are playing out. How certain aspects of the characters and different organizations are being developed in an unique way and I love where Kagawa is taking this. I always knew that Talon was a promising start but Rogue proves that this just may be epic after all. There are a lot of things going on here plot wise so I wont be going into it, but I will say that I'm impressed with how big this story really is. I enjoyed the history of St. George but I also liked seeing how Talon operates and how the Rogue made their enemies on both sides of the lines. I also enjoyed all the different point of views and I'm grateful for every one of them. I loved seeing the back-story of Riley (Cobalt), what he was like as Talon's Basilisk and what pushed him to go Rogue. From minute one Riley has been a force, something overpowering and persuasive. I'm really glad we got to know him better. Dante is also another character who was slightly overlooked in the last book. He's Ember's twin and a determined loyal Talon servant who will do what ever it takes to bring back his sister to the right side. Where she belongs. I don't think I was suppose to be surprised by his actions, but I was and yet I still have hope for him. Garret is another character I wasn't quite sure about, but I found him to be less robotic in this book. More open and natural even if he was living a very surreal life. It takes a big person to admit that their whole life is one giant lie and try to make up for it. And as for Ember? Well, I still find her to be rather reckless but at least she has good intentions and I liked her passion and fight. The love triangle is really well done, like Ember I'm not sure which guy I'm rooting for at this point and I like that we have a few more books for the boys to convince us who should own her heart. 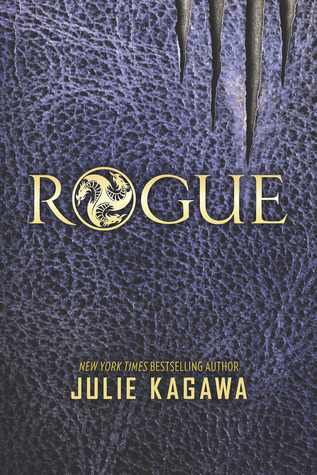 All in all, Rogue turned out to be a really fierce read. There is a lot of betrayal against each organization. St. George against Talon and Talon against St. George and Rogue and Rogue against all of the above. It's hard to know who to trust but it's also fascinating and exciting to see how everything is battling out. Plus, I love me some dragon fightin'. Kagawa is such a skilled writer and I love the growth she's giving her characters and this vibrant universe where anything can happen. Can't wait for the next book! I have been wanting to read this book for quite some time. 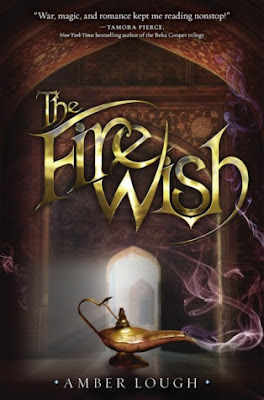 Jinni has quickly become one of my new favorite Young Adult troupes and The Fire Wish didn't disappoint in the least. I listened to the audio book. While they are pretty hit or miss this one was spot on. The narrator has the perfect complementary accent to set the scene. Between the the vivid descriptions of the lush setting and mystery surrounding the wish that took place, The Fire Wish was a perfect addition to my Jinn shelf. Typically I am a very character driven reader but I could not really connect with either of the M.C. 's in this story. Told in alternating first person perspective, the voices of Najwa & Zayele come across loud and clear. I just found Najwa to be wet blanket and Zayele to be incredibly selfish. The imagery and setting itself is what kept me glued to my ear buds (as I said ...audio book). Najwa is a Jinni with extreme power yet she has a difficult time standing up for herself. Zayele will do anything she can to escape her arranged marriage so when she encounters Najwa she wishes herself home. The only problem is that it takes her back to Najwa's home and not her own. The girls look almost identical so now they must play the parts of each other and chaos quickly ensues since they are the brink of a war with the humans and the jinni. Even though I wasn't the biggest fan of the girls, I have to admit that the character growth that was displayed was pure perfection. Many secrets come to light and the plot seems a bit murky for a minute but resolves itself into the perfect ending. I was shocked by many of the revelations that came to pass. The magical system was also quite brilliant. There is a very set limitation on the Jinni's powers and that made things much more believable. The thought of someone being able to wish whatever they want all the time kinda cancels out all problems they could ever encounter so I was pleased to see that wasn't the case here. It was very well thought out. The story had almost A Prince and the Pauper type feel for a bit which was also entertaining as we got to glimpse inside the political workings of both worlds. I am thrilled to have the sequel The Blind wish to read immediately! If you are a fan of vivid settings and the Jinn in general, I think this one may definitely be a go for you. Five fingers wouldn't be enough for counting how many YA contemporaries I've read this year that have centered around mental illnesses. Some have labeled such books as "sick lit" and included in this category also YA books that deal with cancer, arguably the most often used illness in YA books, a reality that probably 95% of us have some experience from via family members, friends etc. I must admit that when I first heard about Extraordinary Means and the sanatorium it uses as its setting, I expected the novel to be a historical one, since tuberculosis is an illness that I automatically connect with 19th century and the novels of Jane Austen. Rather than using a historical setting, Schneider has inserted an incurable strain of tuberculosis to the modern American society. Inspired by the fear and spread of illnesses like Ebola, Schneider has taken an illness that most of us probably expect to be in the history and made her main characters, a group of five teenagers suffer from it. The novel starts when Lane is sent to Latham sanatorium after being given a tuberculosis diagnosis. He is forced to put his busy academic life on hold and though he tries to keep up with his AP classes from Latham, he is quickly made to realize that as a result of his sickness he cannot do things quite as he used to do them before his diagnosis. At Latham, Lane comes face to face with Sadie, a girl he once shared a summer with at a summer camp. He becomes intrigued with Sadie and her group of friends. Sadie has spent a lot of time at Latham - her tuberculosis has stayed static; not too bad to take her to the hospital wing, not good enough for her to be able to go home. When Sadie first sees Lane, she is upset. For years after the summer camp, she has been harboring negative feelings towards the events of the summer. After some misunderstandings are solved, Lane joins Sadie's group and for the first time feels like he is living his life rather than just planning it. 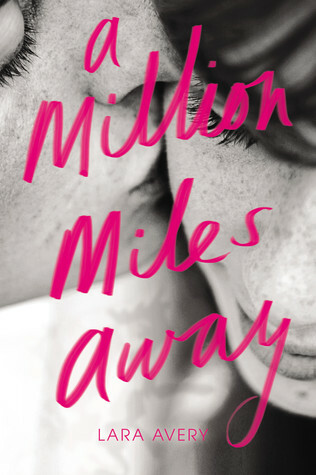 The novel is narrated by both Lane and Sadie. 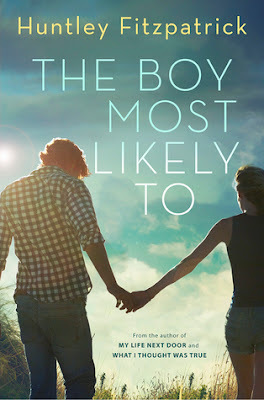 This alternating narrative allows for a more complex look into the minds and actions of these teens and I think it makes the novel more available for readers from both sexes. 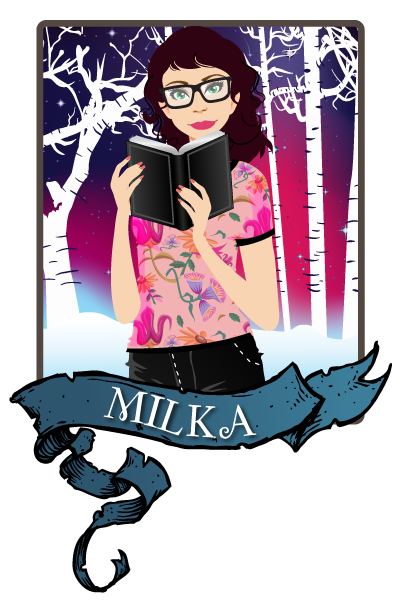 I feel like there often is a preconception that YA contemporary novels are "for girls", mainly because often the protagonists are female. With Extraordinary Means, we get into the heads of both a young girl and a young boy and we get to see how they fall in love. It is incredible to read how brave and honest and funny and loving these characters are and how they keep going even despite the fact that their situation seems pretty grim. Though the strain of tuberculosis that these characters have been diagnosed with is fictional, I found it extremely interesting to read a book about characters who suffer from an illness that seems to be without cure. What I found extremely interesting was to read about the way those who are healthy treat them - their teachers, doctors, parents and friends. Some pity them, most are afraid of them. These teens not only have to live with an illness that makes their hurt physically, they also have to deal with the consequences that the actions of those around them cause. Schneider writes well and the pacing of the novel works very well; I was a big fan of how the chapters get shorter towards the end as the events of the novel get more and more intense. Schneider's characters are multi-dimensional, flawed and never pitied by the author - they are sick but not only defined by their illness. Though they share the illness, they are very different otherwise and I really liked the fact that I was able to connect with all of them in some way. Extraordinary Means definitely sold me on Robyn Schneider and made me desperate to read her debut The Beginning of Everything. 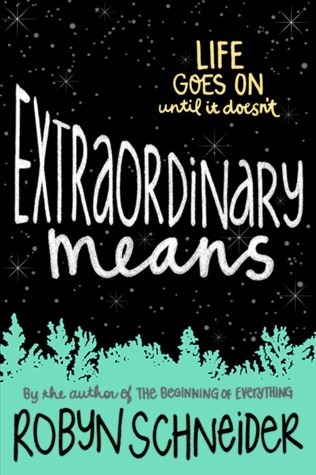 I highly recommend Extraordinary Means to everyone, even for those who have started to distance themselves from the so-called "sick-lit" genre. With no mental illnesses or cancer, the use of a fictional strain of tuberculosis distinguishes Extraordinary Means and makes it an interesting read about a society that is exactly like ours, expect riddled with an illness that most of us see only as part of history. Sweet was bit of a random eARC pick for me for me since I am usually the one who requests all the contemporary books and pretty much nothing else. Sweet might be listed as 'contemporary' by some in Goodreads but let me assure you, THIS IS NOT A CONTEMPORARY READ. 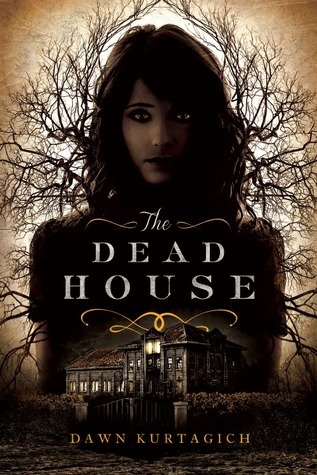 It is more of a mix between a contemporary read and a very weird vampire novel. Yes, you read right - VAMPIRE. Unfortunately, at this point I feel like I should have not clicked the request button for Sweet because I still, a couple of days after I finished with this, feel like I have no idea what I read. The premise for Sweet is an interesting one - a cruise promoting a new drug/supplement that could help to beat the problems of obesity. Unfortunately, I continually felt like the book did not really treat obesity as something that might come with serious consequences (heart failures etc) and rather just placed all the attention on the visual side of obesity and how everyone must want to look skinny. Pretty much in this book skinny=beautiful, fat=ugly. I feel like the author had attempted to make this novel a sort of a satire, an ironic look into the way society clings to certain body images over others. And hey, that would have been a very interesting book to read, but unfortunately for me this just read as the complete opposite. Though the main character Laurel seems to be okay with her body, the other characters are so toxic and conceited everything Laurel says and does is very quickly forgotten. Also, I did not really like the exchanges between Laurel and her best friend Viv, especially when they discuss their bodies - Viv wants to be skinny, Laurel is okay with herself as she is; rather than trying to understand each other and support each other in whatever they want to do, they constantly bicker about this. Why can't they just be who they are and support each other despite their differing opinions? So Laurel has been invited to join this super exclusive cruise by her friend Viv whose parents paid for the whole shebang in their divorce guilt. The cruise is designed to promote this new miracle drug Solu that promises extremely quick weight-loss results. Laurel is described as bit of an "outsider", at least when compared to Viv. But honestly, she is not really an outsider. She just plays guitar and does not really care about clothes. That does not really make her that much different from a normal teenage girl. There's also this guy called Tom on the boat who is this famous child-star grown old (kind of like Zac Efron). He used to play this chubby little kid in a famous family TV show (think something like Full House) and though he is far from chubby right now, he still carries the "burden" of his early fame with him. Desperate to get into the movie business and to be taken seriously, he agrees to host the coverage from the cruise (seriously though, if you want to be taken seriously, maybe you should not host a very trashy seeming coverage for a cruise.... just saying). There he of course meets Laurel who is "so different" from all the girls he has met before. Enter instalove. You know what happens next. Though Laurel didn't annoy me that much, I would Tom to be extremely obnoxious and honestly, a bit of a douche. Yeah, he tries to hide this "sensitive" side with his douchiness, but really, for me all that sensitivity stayed a mystery. Also, yeah, he's buff, but the way the author clings to repeatedly describing Tom's gym obsession got to be a bit too much because you pretty much get it the first time. In summary, TOM IS SO BUFF HE DOES NOT HAVE TO TAKE THE WEIGHT-LOSS SUPPLEMENT. Surprise surprise, Laurel does not take it either. So as the cruise proceeds, suddenly all these people who have taken the supplement start to show weird systems. This is when the whole vampire style thing comes into light. I don't want to spoil this for you in case you want to read it, but let's just say that the effects of the drug are very quick and very random. I feel like the author should have taken more time to introduce the symptoms more gradually. As it is now, it just felt very rushed and very over-the-top. 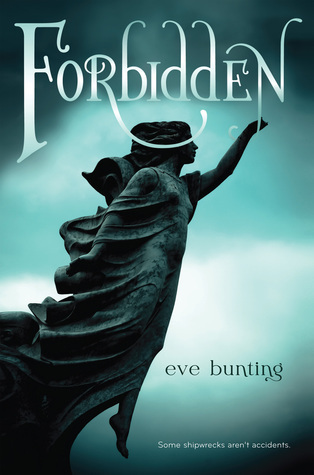 I haven't read Emmy Laybourne's Monument 14 series and I must, unfortunately, say that I probably won't pick them up after reading this one. Laybourne's characterization and writing just did not work for me at all. 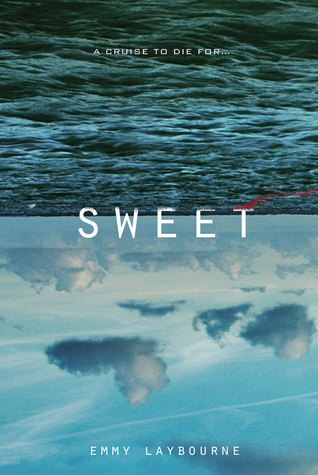 Sweet certainly is very action packed, but for me, it lacked a heart and substance. The characters are fairly one-dimensional and as the novel goes on, I started to care less and less for what happens to them. The writing feels clumsy at points (please note that this is an ARC and probably looks a bit different from the published book) and the dialogue feels a bit fake, especially between Laurel and Tom. I feel like towards the end of the novel they don't know each other any better than they did in the beginning, so believing that they are suddenly in love just did not fly with me. The ending of the book suggests that there might be a sequel. If that happens, I will not push that request button for a review copy. 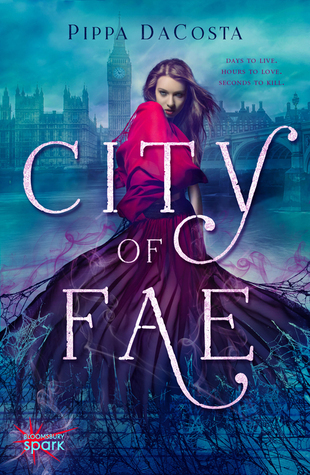 I love fae books with a passion, but this one just did not work for me at all. They story is kind of a strange one and one I haven't read before which was a good thing, but it really fell flat. 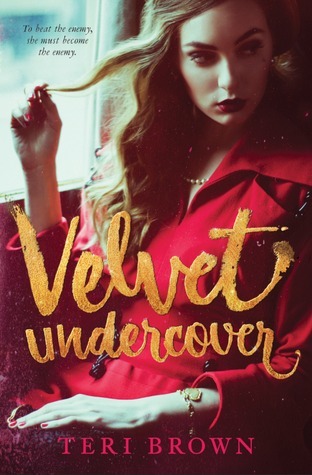 We have Alina and she having just lost her job as a reporter spies the perfect story, Sovereign. He is the resident bad boy rockstar and a fae. The fae in this world are known and there are rules within the city. One of those rules is not to touch them and what does Alina do almost instantly, yep you guessed it she touches him. Now this normally wouldn't have bothered me but she goes on and on about the whys and how wrong it is and then BAM touches him. The story from there gets a little strange and it all boils down to a few things...1. Alina thinks she is bespelled by Sovereign...2.She doesn't care at certain convenient times and just goes with her hormones...3. There are a whole lot of spiders around and nobody is telling anybody anything...and 4. So so many plots holes that center around what Alina actually is and what Sovereign is hiding. I just can't look past all the negatives in the story. I didn't care about the characters either. I think the cop Andrew would have been a nice cast member, but he gets kind of pushed aside for the fae and well I don't like triangles so really it wouldn't have worked for me the other way either. I think he was the one real part of this book and he was completely disregarded. Sovereign and Alina were not enjoyable at all. Sovereign had too much of the bad boy always gets his own way attitude and Alina was too sarcastic with a wannabe edge. They just didn't fit together. The secondary characters weren't any better and like I said this story is filled with plot holes and the characters had them as well. I don't get where Shay really fit and I don't understand any of the fae really. I think the author tried to throw too much in and the story and cast were like a big ball of loose thread. Things really needed tightening up. The biggest problem I had though was the whole star crossed lovers bit. Alina and Sovereign have quite a bit of a struggle ahead of them for reasons I can't name due to spoilers and I just don't understand it at all. Again major plot hole that was not in anyway explained. This looks to be a series and normally I would give the second book a chance but I don't think I could live inside of Alina head again. I didn't connect with her and I can't see spending another 300 pages hoping and trying too. 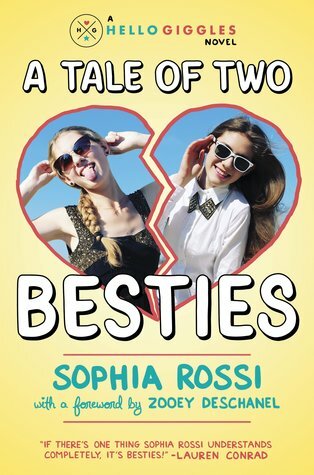 A Tale of Two Besties is just that, a story about two best friends trying to survive high school. What makes this story stand out, at least for me, is that it isn't about romance and first love. This book is about friendship and how hard it can be to keep those friendships in high school. Harper and Lily have been best friends for a long time and their freshman year where it should have been all about them being together is about them trying to navigate high school without each other. Lily transfers to a new artsy school leaving behind her bestie and shield from the world. Harper has always been the more outgoing one and so Lily knows her life is over. They make a pact to always stay the same and to always be there for each other. 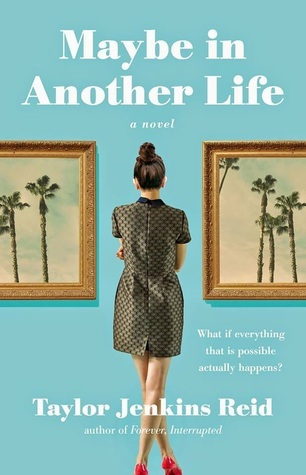 Unfortunately things don't go as planned and life takes the girls in two separate directions. I really enjoyed this book. I should clarify there is a romance, but it isn't the main focus which I appreciated. I think younger girls need to see more stories about friendship. It's so hard to keep your friends especially through high school and I think reading a book where they can identify with the characters is huge. I wish I had had this book when I was in high school. It might not have saved me from the fights or heartbreak, but it would have helped me understand that I wasn't the only one even if the other people were fictional characters. The author did a really great job with the storyline. I honestly never saw Lily as the one that would break away first and it was intriguing to see both POVs. Was it all believable, no but that was okay because the core storyline was believable and one I felt emotion for. I wanted Lily to stand up for herself and I wanted Harper to understand that life does move on. And even though I wanted separate things for each of them I still wanted them to be besties for ever! I had two problems with this though...1.The way Lily and Harper talked got to be a bit annoying and 2. Money I'll start with 1. I have always had a hard time with books that make their teenagers sound older than I am and this book does that. I can't imagine myself much less a freshman in high school talking the way they do in this book. It felt pretentious at times and just too wordy at others. I would have personally connected to each character better if their dialogue had been a bit smoother. 2. Money...These kids were rich and I mean it felt like Kardashian rich. I didn't care for this and it didn't fit with the story in my opinion. I would have preferred a simpler toned down story, it would have felt more genuine to me. As it was I felt a bit disconnected when certain scenes would take place and a little uncomfortable. This could just be me though. Maybe kids do talk that way and they have all kinds of money I don't know, but in my household we don't have either. So for me I would have liked that all toned down. Those two things even though they sound major didn't take away the story for me. I still fell into this and liked it. I overlooked a lot because the writing was really good and the story itself reminded me of how hard it is to keep friends and how we should all fight a little harder to keep the ones we have. Surprises abound and sparks ignite in the highly anticipated, utterly romantic companion to My Life Next Door Tim Mason was The Boy Most Likely To: - find the liquor cabinet blindfolded - need a liver transplant - drive his car into a house Alice Garrett was The Girl Most Likely To: - well, not date her little brother’s baggage-burdened best friend, for starters. For Tim, it wouldn’t be smart to fall for Alice. 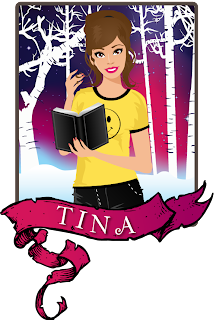 For Alice, nothing could be scarier than falling for Tim. But Tim has never been known for making the smart choice, and Alice is starting to wonder if the “smart” choice is always the right one. When these two crash into each other, they crash hard. Then the unexpected consequences of Tim’s wild days come back to shock him. He finds himself in a situation that isn’t all it appears to be, that he never could have predicted . 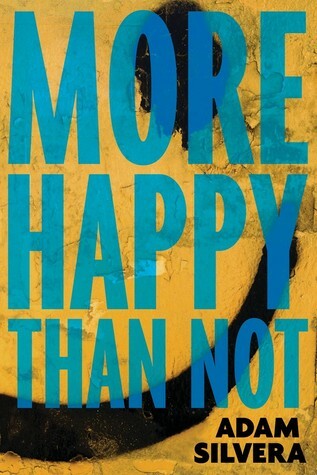 . . but maybe should have. And Alice is caught in the middle. 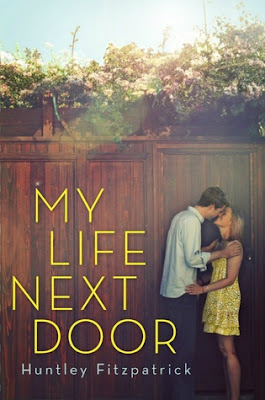 Told in Tim’s and Alice’s distinctive, disarming, entirely compelling voices, this return to the world of My Life Next Door is a story about failing first, trying again, and having to decide whether to risk it all once more. 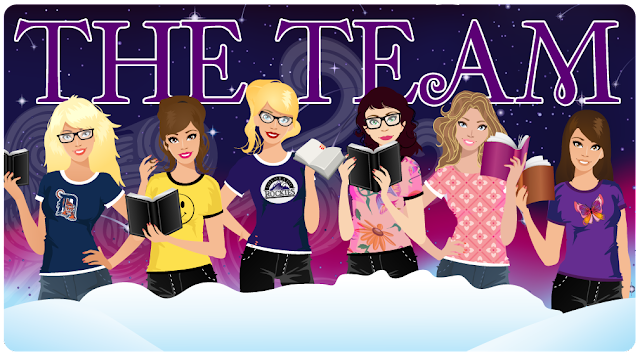 There are six of us lovely ladies the blog here from all over the world!! We each have very different thoughts and tastes! Let me tell you a bit about us! When it comes right down to it...there is no way you can get through our blog and NOT find some awesome books you are sure to love! !